This book contains everything a parent needs to know to design an optimal diet for the healthy child from infancy through the teenage years. It addresses the need for a practical nutrition book that contains evidence based information rather than "e;faith based"e; reasoning passed off as "e;science. "e; It addresses the daily nutritional health issues of children in a specific, trut… hful, and friendly way. In addition to parents, this book will be of special interest to nursery schools, elementary and high school teachers, coaches, all health care providers, family physicians, pediatricians, and nurses who work with children, including pediatric and family nurse practitioners. At the turn of the previous century, malnutritionthe lack of certain nutrients, vitamins and mineralswas a problem second only to infection in this country. Today malnutrition is more likely to be a case of overconsumption of certain nutrients. Too much has replaced too little: too much fat, too much salt, too much sugar, and too much ultra-processed food. The author reveals the solution to the problem of overconsumption in this book, which is peppered throughout with helpful, nutritious recipes, as well as examples of the food labels of many popular products, with notes on what to look out for when reading the packages of your favorite foods. Although most of Dr. Goldberg's suggestions and anecdotes come from his years of nurturing thousands of children (and their parents), he has recruited the experience of many other experts in nutrition. 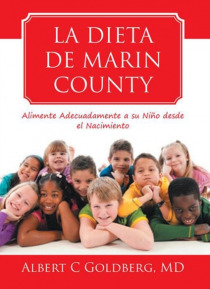 For the past twenty five years the author has worked in countries such as Argentina, Chile, China, Colombia, Ecuador, Ethiopia, Honduras, India, Nepal, Philippines, Peru, Venezuela, and Vietnam, where poverty, ignorance, social disintegration and war have contributed to nutritional diseases, and he has brought back with him a keen understanding of the multi-cultural effects upon diet. In 2001 Doctor Goldberg was selected as one of fifty "e;Unsung Heroes of Compassion"e;from around the world and was acknowledged personally by His Holiness the XIV Dalai Lama.